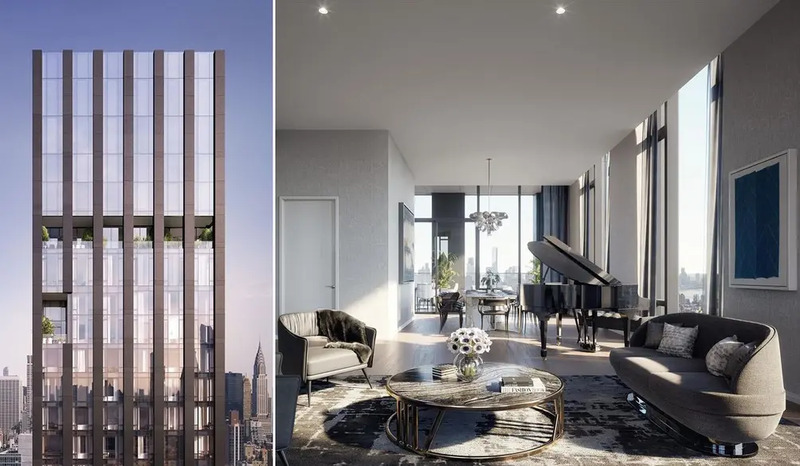 As NoMad’s newest skyscraper and tallest residential building, the Rafael Vinoly-designed 277 Fifth Avenue has naturally attracted interest from architecture aficionados, real estate enthusiasts, and lovers of luxury; as of this writing, only eight of the listed units have not yet entered contract. 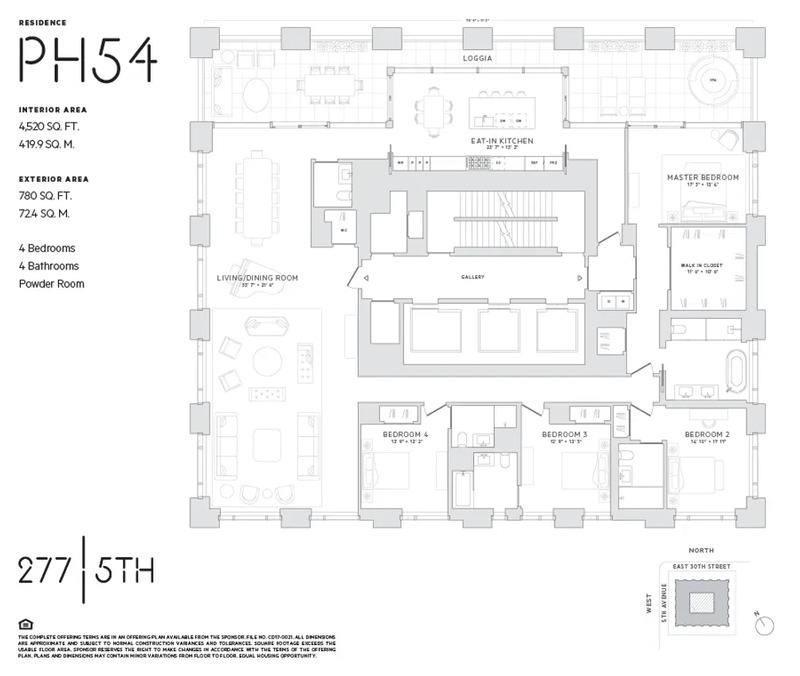 However, as the only one of two full-floor penthouses on the market, #PH54 is in a category all its own. 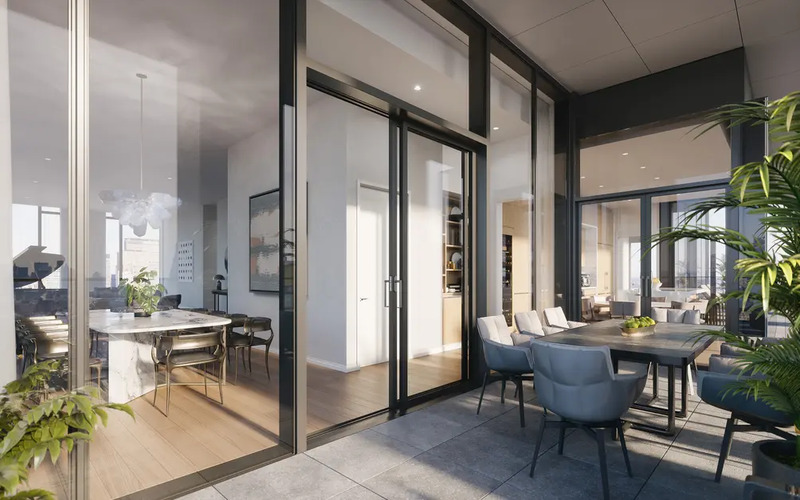 The 4,520-square-foot, 4-bedroom, 4.5-bath home nearly at the top of the building is accessed via a keyed elevator opening, and residents are greeted by the best 360-degree views in the building. 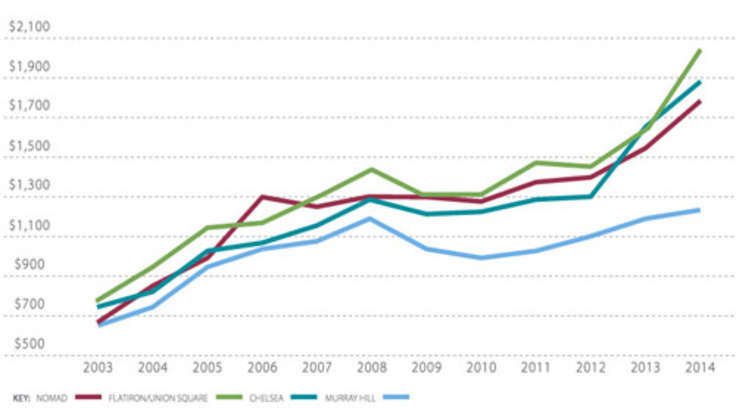 At $24 million, the price is as stratospheric as the apartment. 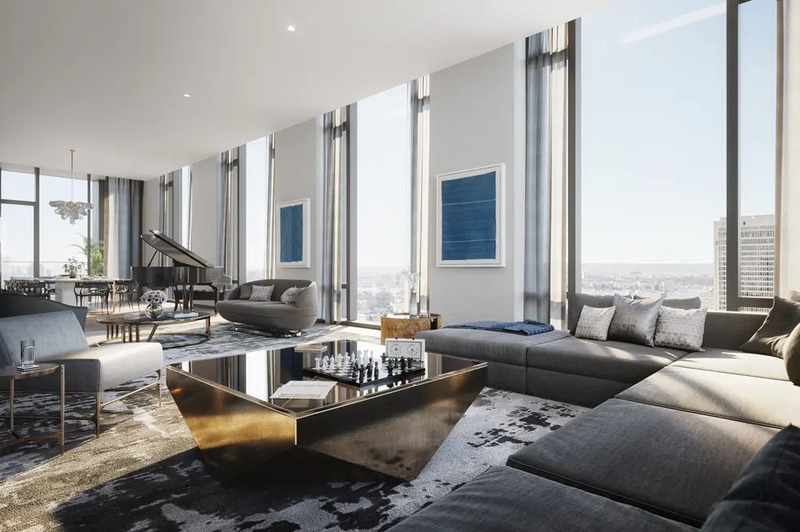 The 53’ by 21’ Great Room looks out on Hudson River views. A 75’ loggia provides a gracious living extension and a private spa. 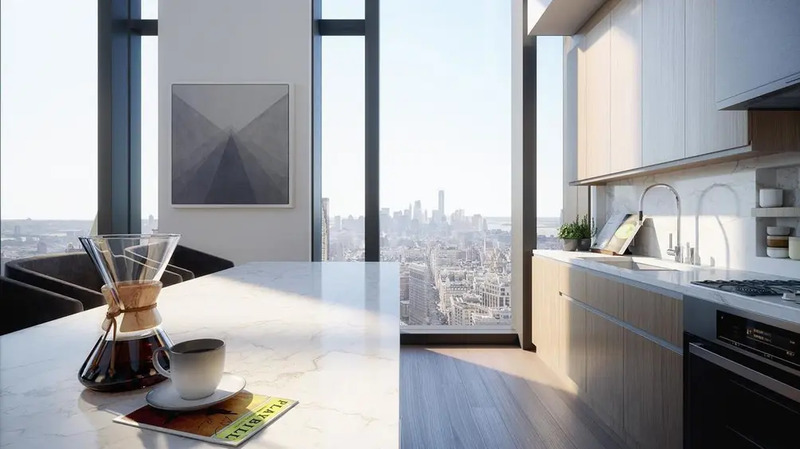 The windowed eat-in kitchen offers marble slab countertops and island, white oak cabinetry, full Miele appliance suite, and Empire State Building views. 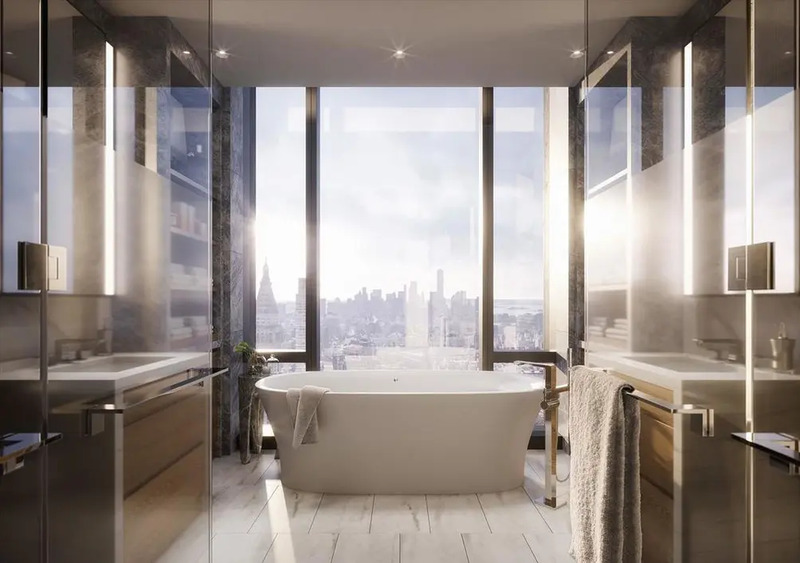 The windowed master bath has marble flooring, walls, and countertops, steel enamel tub, all-glass shower, and heated floors with pre-set timer function. 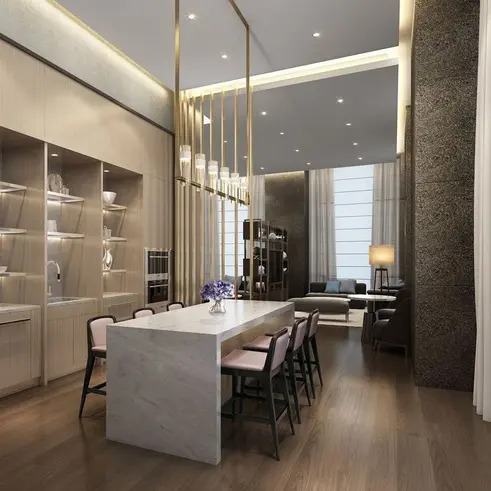 Residents have access to amenities designed by Jeffrey Beers International that include a lobby library, dining room and catering pantry (below), game lounge, and fitness center.